I know a lot about Dr. Prada and Dr. Gonzalez and will be happy to share. 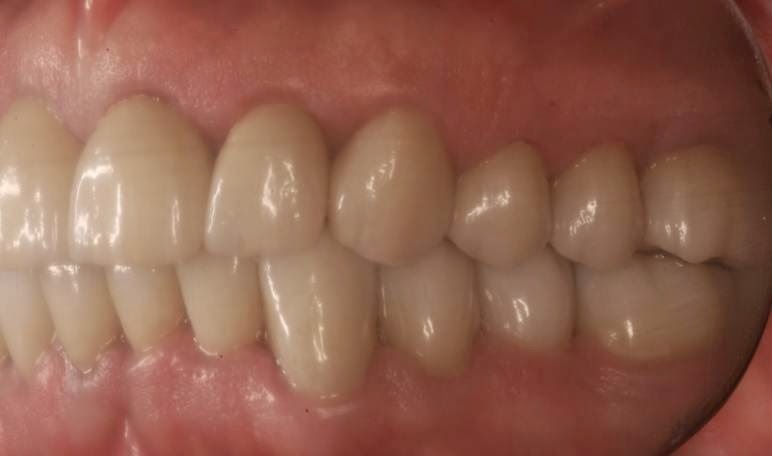 I had a full-mouth restoration completed in May 2011, and I am happy how it's turned out. I have no financial interest in this; I'm just a recent patient. Not every dentist is right for every patient, so let me explain briefly why I chose Dr. Prada over several other Costa Rican and American dentists. First, after investigating dentists, I became biased in favor of specialists, by which I mean already-licensed dentists who went on to complete 2- to 3- year post-graduate training programs at American dental schools. Dr. Prada's advanced training is in prosthodontics (crowns, veneers, etc. ), and I think that his skill and judgment show through in his work. Some examples: He had an instinct about how much to “open the bite,” that is, how tall the new crowns should be. This is a crucial consideration in full-mouth restoration. General dentists had a problem with this question, and typically tried to sidestep it. Dr. Prada knew in a glance that my bite needed to be opened--which he proceeded to do. He easily answered scores of questions of mine, some very technical. He even answers emails now, three months after delivery of the crowns. Well, I could go on and on. Second, I was impressed with the level of cooperation between the specialists at DDS Dental. There wasn't enough tooth structure above the gum line of my teeth, and I needed to get a procedure called "crown lengthening" on my teeth. Dr. Prada coordinated with his colleague Dr. Gonzalez, the periodontist who actually did the gum lengthenings. At one point during the operation, Dr. Prada actually came in the room, examined the progress, and suggested a different approach to Dr. Gonzalez. As another example of inter-specialty cooperation, twice Dr. Prada brought in DDS's endodontist, Dr. Caranza, to consult on my case. [Note added later: Dr. Caranza would later give me my first root canal, in July 2013.] This was done on short notice, at a time when my teeth could easily be examined. Having all these specialists under one roof proved to be very convenient. I have nothing against American dentists. In fact, my first full-mouth restoration was performed by a very well-regarded North Carolina prosthodontist in 1995. But the difference between Dr. Prada and my former prosthodontist is day-and-night. And the difference between the dental lab I used (Lorenzo Favini’s) and the in-house lab my former prosthodontist used is also day-and-night. Readers of this board often want to know about costs. My crowns were $600 each, plus an additional $75 each for the services of Lorenzo Favini's dental lab. (I highly recommend this lab, which also did LadyBoss's crowns.) A clear and fashionable night guard was $300. These were Dr. Prada’s standard prices in November 2010 when I began working with him. He stuck to his original quote, despite all the trouble I was to him. Dr. Gonzalez's crown lengthening work was less than half of what I would have paid in the U.S. More importantly, he did an excellent job with a procedure that few Costa Rican periodontists would have been able to do. An outside anesthesiologist gave me IV sedation during Dr. Gonzalez's work (about $300 or $400); it was well worth it. Finally, I took advantage of a cash discount off the above credit-card prices by wiring funds directly to Dr. Prada’s bank in Florida. I’ll mention in passing, for whoever might be interested in implants, that Dr. Gonzalez places implants and Dr. Prada fits the crowns for a large discount over U.S. prices. I don’t have any implants so I can’t give a first-hand account of this, but I did meet one of his very satisfied American patients in the office one day who had implants. Best wishes and good hunting! If these menu choices aren't visible, it is probably because the page is not wide enough. You can widen the page by either maximizing the window or pulling one of the page edges. 1 comment to ''My work with Dr. Prada and Dr. Gonzalez"